If you can't have fun with colour in a craft room, where can you have fun? 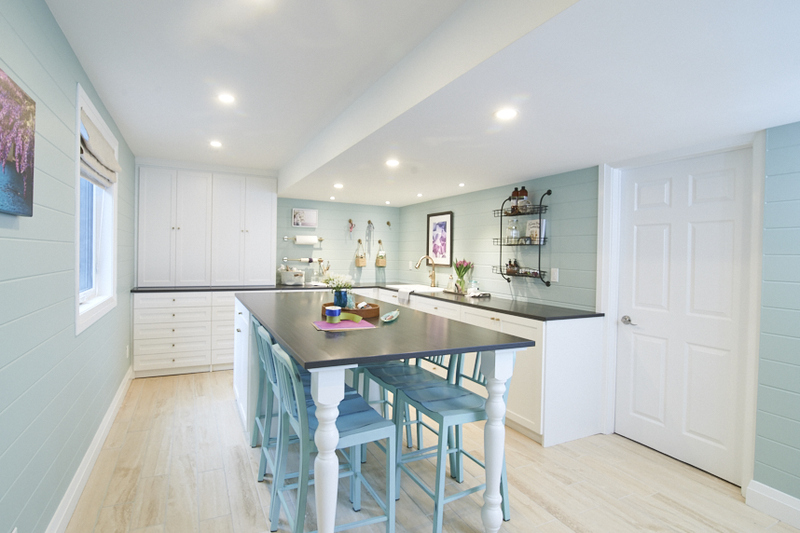 In this case, we went with a beautiful teal called Sylvan Mist by Benjamin Moore. It's soft and inviting but definitely saturated enough to be whimsical and playful! 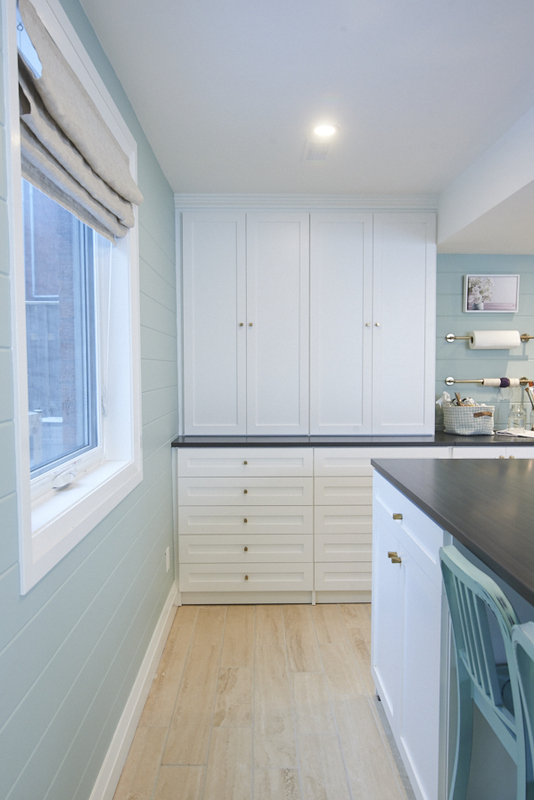 I think it's also a really fun accent to the MDF tongue and groove we applied to the walls from Metrie. And I had to add a bit of colour with the cabinet hardware. Shayne Fox Hardware is a newcomer to the Toronto artisan community and her hand-made in Toronto hardware really is a piece of art. 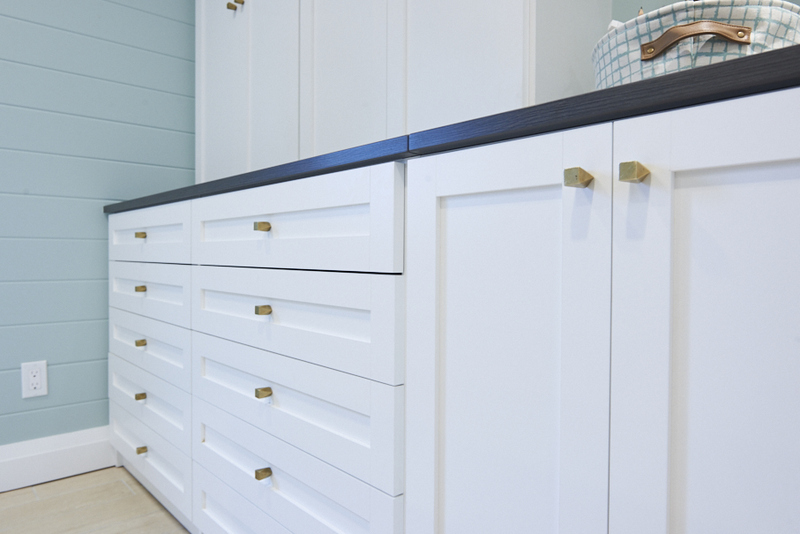 We used her cast bronze knobs in bright bronze for a pop of contrast against the white cabinets. 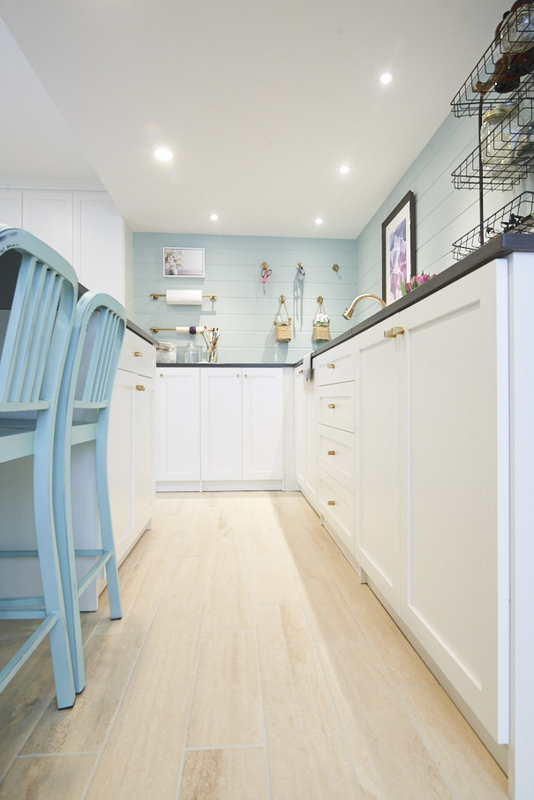 And again because it's a craft room and why not, we chose a bold colour on the chairs- these stools from Wayfair provide a fun pop against the white base cabinetry. And don't forget about accessories- even in stationary products you can incorporate colour like these paper clips and feather shaped pen holder (and pens!) from Home Sense. A craft room has to be really practical- keep paint spills, sticky fingers, and general mess in mind! For this reason, I wanted a really durable, but beautiful floor. I used ErthCovering's Tivoli natural stone plank, which has the texture of wood but the durability and liquid resistance of stone. 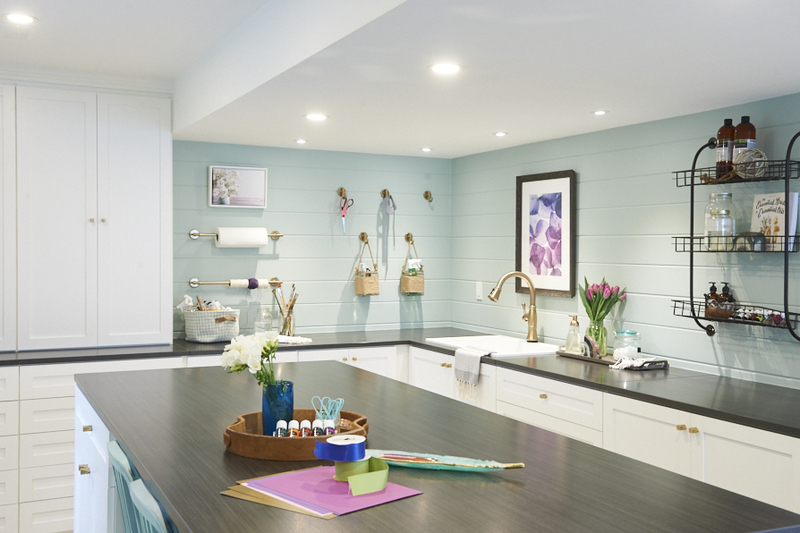 And because it is a craft room, including a sink makes so much sense. 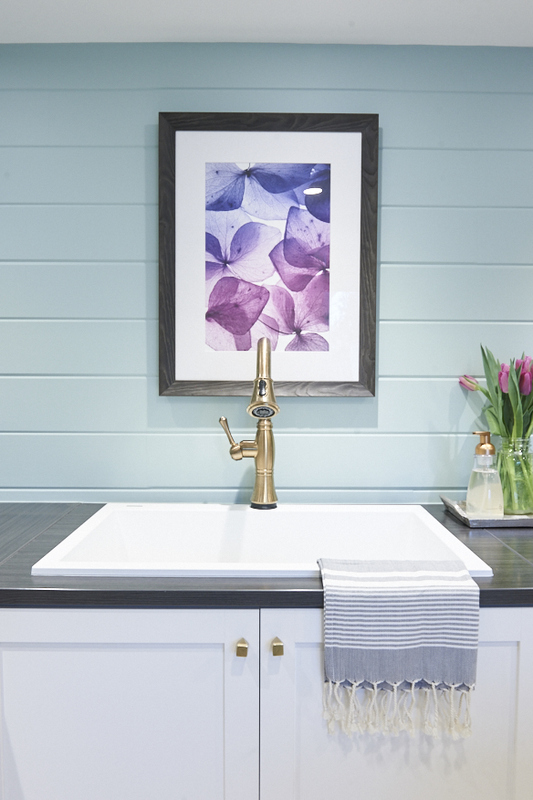 We used the Delta Cassidy faucet, with Touch20 technology which allows you to simply tap anywhere on the faucet when the handle is in the on position. 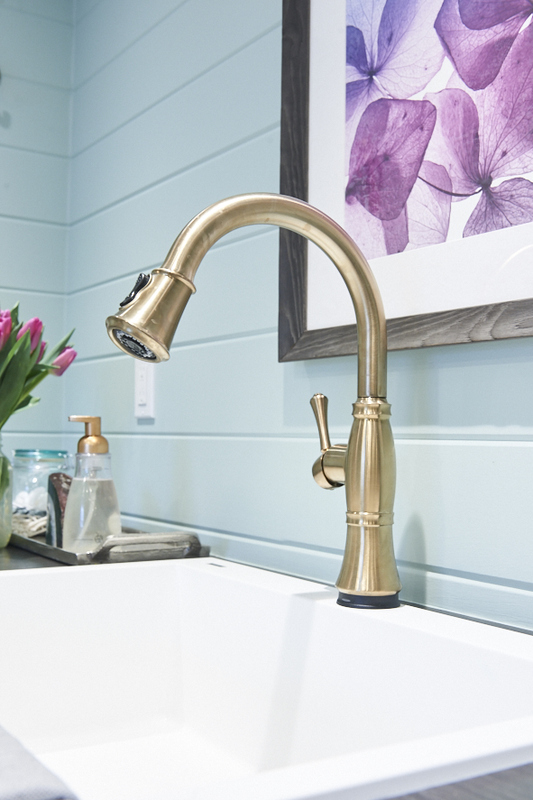 When your hands are covered in glitter glue, and the faucet is as pretty as this, you better believe that Touch20 capability comes in handy! I also love how the pull-down spout is integrated so elegantly in the design, and you can position elements like the spray toggle and handle as per your personal preference. Finally, I love how the Champagne Bronze finish looks with the SFH knobs. This room is in the basement adjacent to the backyard entrance and as a result, it is cold and drafty, especially in the winter. To keep it cozy, we put in the Celeste stove by Dimplex. My favourite thing about this electric fireplace is just how portable, and easy to install it is. It provides instant warmth, and a cozy atmosphere to a space, with very little fuss, mess, or expense. 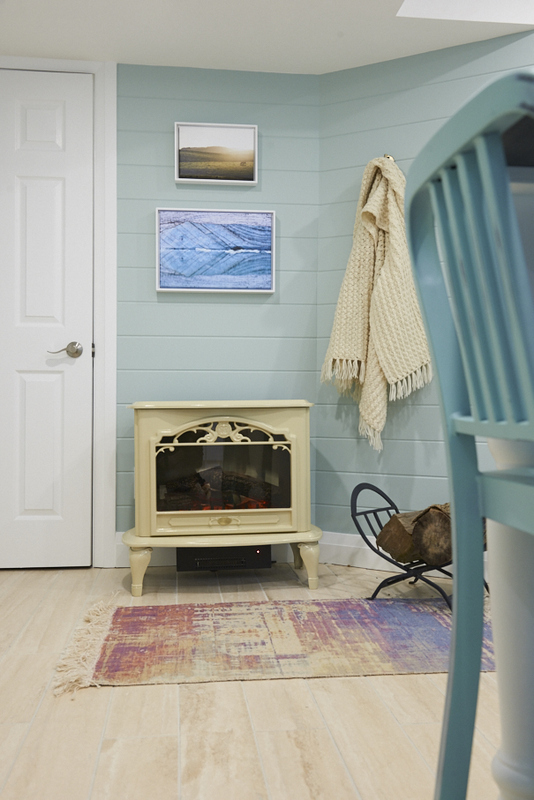 And this pop of colour in this carpet from Home Sense completes this cozy vignette! And to help with that exterior draft, we replaced the window with an energy star rated, top quality vinyl window in white by Fieldstone Windows, and finished it off with Metrie's Very Square casing to keep the details contemporary. all of the artwork in the room using personal photos to create unique pieces. With an assortment of styles and sizes to choose from including my choices Canvas Prints, Framed Prints, and Acrylic Prints you can really create a customized look featuring your own photos. This is arguably the most important one! Keeping craft supplies organized (rather than jumbled in large plastic containers like mine currently are!) really is the key to an ultimate craft room. And the best solution to this, hands down, is strategic storage cabinetry. I partnered with Tailored Living on this project, a custom whole home organization company with franchise locations across Canada and the US. They provide all the tools to create effective storage solutions that will help you meet your organizational goals. 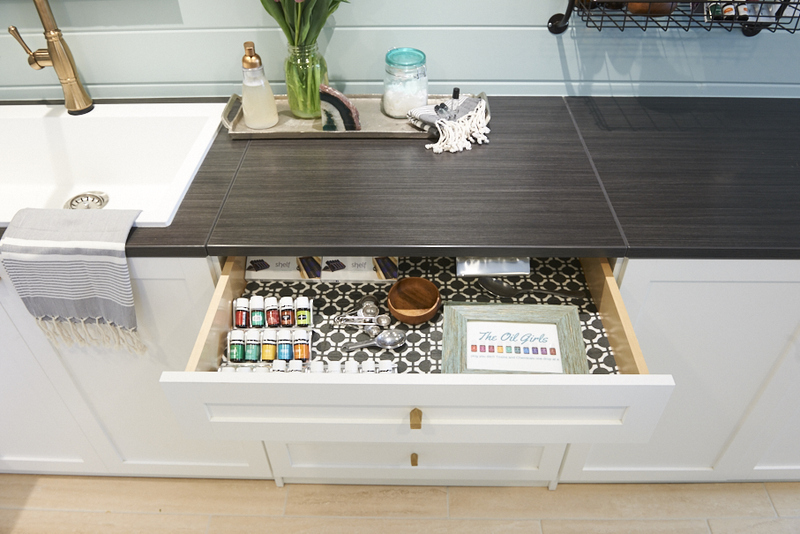 In a craft room, this means a combination of shallow drawers for small items like essential oils and paper, base cabinets for tall bottles and jars, and tall cabinets for rolls of wrapping paper and banners. Colourful baskets from Home Sense keep the interiors neat and tidy. And the best part? Tailored Living will come and take care of it all for you. 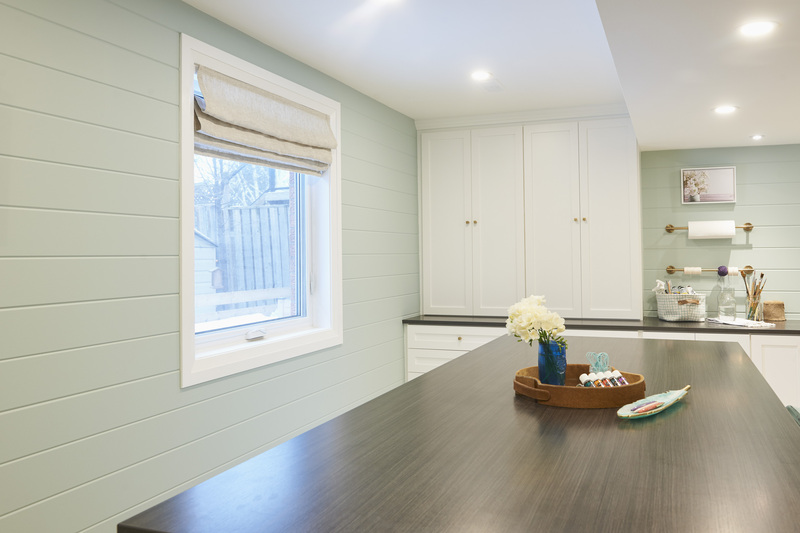 From free in-home initial consultation, to 3D design, quote and installation, you are guided through the process in a streamlined, organized manner. What do you think? Could you see yourself crafting up a storm in this space? Let me know in the comments below. Special thanks to all the brands that partnered with me on this makeover. I work very hard to research the brands I work with- I love working with brands that will make your life more beautiful, organized and intentional. Opinions are my own. Photos by Dann Tardiff. If you enjoyed this blog post and seek even more organization in your life, why don't you join me and hundreds of others in my 7-day declutter challenge! 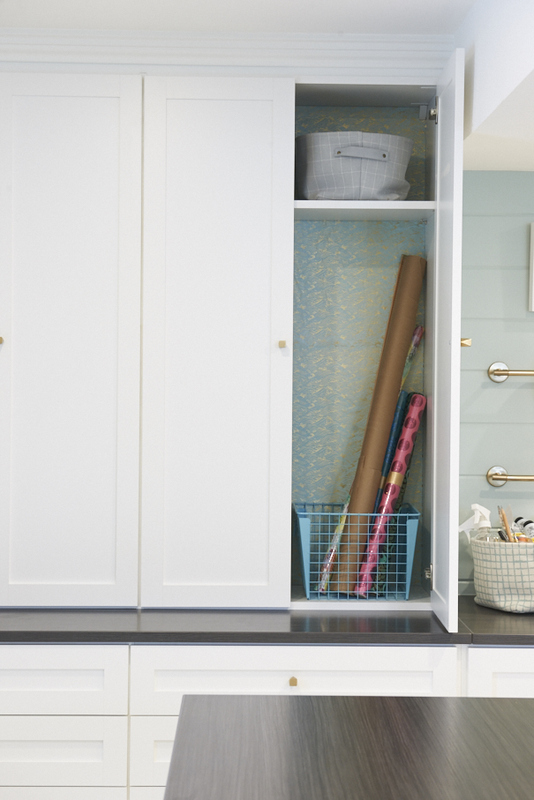 Just enter your details below and you'll be on your way to a more beautiful, organized home!